“The one that God has chosen for me” stayed in my mind. I believe God has a chosen person for me, and you, if you are single. Yes, there are seven billion people on the planet and we have free will to choose, however, I believe God has a perfect and suitable match for each of us. When we lean into our relationship with God and we are led by his Holy Spirit, I believe he reveals the person he has for us in the same way he reveals the person we need to run from. Over the weekend, I met a young woman who shared the story of her short-lived marriage. God spoke to her and showed her many reasons why she should walk away yet she ignored it all because she’s getting older and doesn’t want to be alone. Today, she is alone raising her daughter. In Psalm 32:8, “The LORD says, I will guide you along the best pathway for your life. I will advise you and watch over you.” I can tell you from my own life that every word of that verse is absolutely true. I’ve known God all my life thanks to the rich heritage of Christian faith I was born into. I gave my heart to him and became a Christian at the young age of 16, however, my personal relationship with him got real when he led me to California for the very first time. Since I took that step of faith and obedience, the Lord has been guiding me and leading me, advising me and watching over me. That verse is the reason I’m unmarried. No other reason. I could be married and divorced like many people I know, I’m not exempt, however, when God said, end that relationship, I obeyed. Noted Christian author and speaker Priscilla Shirer spoke at my church this past weekend. While I knew of her because her father, Dr. Tony Evans is pretty much a fixture at my church thanks to his long-standing friendship with my pastor, I didn’t know anything about her beyond her ministry so I Googled. I learned how she met her husband; she was speaking at a luncheon when the coordinator saw her photo and said I have to match her up with our handsome director Jerry Shirer who at the time was the Head of Operations at the hotel where she spoke. All is well 19 years later. Here’s the thing, they had been going to the same church where her father was the pastor all that time yet they never met because of the size of the church. Yesterday in her message, she talked about when they started having children. Jerry told her they would have sons for the purpose of raising up a godly line of Shirer men; something his family never had. There’s a purpose for marriage. We don’t just get married to say, “Look at me, I’m married now.” No! God has an assignment, a plan and a purpose for each marriage. Today, Priscilla and Jerry are raising three boys; Jackson, Jerry Jr, and Jude. That’s no coincidence, that’s all God. That’s what he does. He leads us in the way we should go for his plan and his purpose, however, it’s up to us to obey him, even and especially when it doesn’t make sense. It made no sense to Priscilla when the conference coordinator, a woman she’d never met called her back to finalize the details and also to tell her about a great guy she was certain was a perfect match for her. She thought the lady had lost her mind! So, is there only one person you can marry? Absolutely not. Again, there are 7 billion people on the planet. You can marry whomever you choose. God gives us free will. With that said, there’s only one person you should marry and that person is the one God has chosen and set apart for you. What say you? Do you believe God has a chosen person for each person who desires marriage? What a good post, Yvonne! I find it can be so hard for us to remain waiting and obey God in the waiting. We know that God’s plans are way better than our plans, yet we don’t like the waiting. At least that’s how it has been for me and still is as I wait for that person. 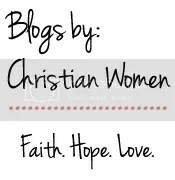 So thank you for this encouragement and for linking up over at GraceFull Tuesday! Waiting does come with its own set of challenges. I hope you are maximizing the time as you wait. Priscilla met her husband while using her gift of speaking. A man who had been in attendance at the same church yet they never met until she was operating in her gifts. That’s a lesson for us all. I agree that God has the perfect person for us. My husband is the only one for me. While we may have had our ups & downs, every struggle has served deep purposes in our lives. There is wisdom to be found in this post & in the wait. Blessings! I do believe that God has a chosen person for each of us if He calls us to be married. Where we go wrong is that we don’t listen, follow, and obey. Many marriages don’t start off on a strong biblical foundation or even understand the purpose of marriage. Let alone what love actually means. They step into a relationship and then marriage based off of “love” with selfish intent – “they make me feel xyz” and believe it to be real and therefore “it must be from God”. While God can use all situations that doesn’t mean they were from Him. I need you to say this a little louder for the people in the back just in case they didn’t hear you. You nailed it! Many marriages don’t start off on a strong biblical foundation and that includes Christian couples who marry without fully understanding the purpose of marriage. It’s all based on love with selfish intent. This right here is gold: “While God can use all situations that doesn’t mean they are from him.” Well said! Yvonne, loved this post. The Lord picked my husband, and I’m very thankful for how He made it so clear. Yes, I believe God has a chosen person for each of us. I know there are people who disagree with that, but I can’t get over God’s instructions in His word: Come to Me. Seek My will. Lean not on your own understanding… I know by His Word He cares for every part of us, so why wouldn’t He care who we marry? This was a wonderful post. I wish I’d had it when I was single, because it’s very encouraging. It might have saved me from some mistakes during that period. I do agree, He knows the perfect one and has the perfect timing, waiting is hard I know, but He loves you in the meantime, and His love is perfect. I think people disagree with it because they make it mean there is only one person you can marry and that is why I made it clear that we can marry whomever we wish. The choice is ours. We will deal with the consequences of our choices. You’re so right. He cares for every part of us so I know beyond the shadow of a doubt that he cares about whom we marry. It’s the biggest decision we will ever make in our lives. He cares! I remember hearing in a sermon once “Sometimes you make the right decision, and sometimes you make the decision right”. Chances are we might not marry the “perfect” person for us – we’re sinners, we’re disobedient, we don’t listen well, we think we know best, we follow our deceitful hearts way too much – but we can still make that already-made decision the right decision by continuing to obey God in everything and at all times in that marriage. That saying by the pastor is cute and all, however, I’ve seen married couples try to make a wrong decision right and it just doesn’t work. What they end up with is a less than marriage where they put up with each other until they don’t want to do it anymore. If kids are involved, they stay together for the kids and suffer through a marriage they don’t want to be in. A friend is living this nightmare right now as I type. The only reason he’s in his marriage is because of his daughter. He and his wife are completely disconnected. I love this! I love how you looked at it from the perspective of us each having the power to make the decision, but that God has that wonderful one person picked out for us. And I feel like this is so true! Thank you. I had to make that crystal clear because I don’t want anyone thinking there is only one person they can marry. God gives us free will in every area of our lives. We don’t have to heed his commands. We don’t have to listen to that still small voice. He provides his Holy Spirit and his Word to guide us in making small decisions and life-changing decisions like whom to marry, yet he gives us free will in it all. I do believe God who created this entire universe have chosen a particular person for all. Everything works according to the will of God in this universe.